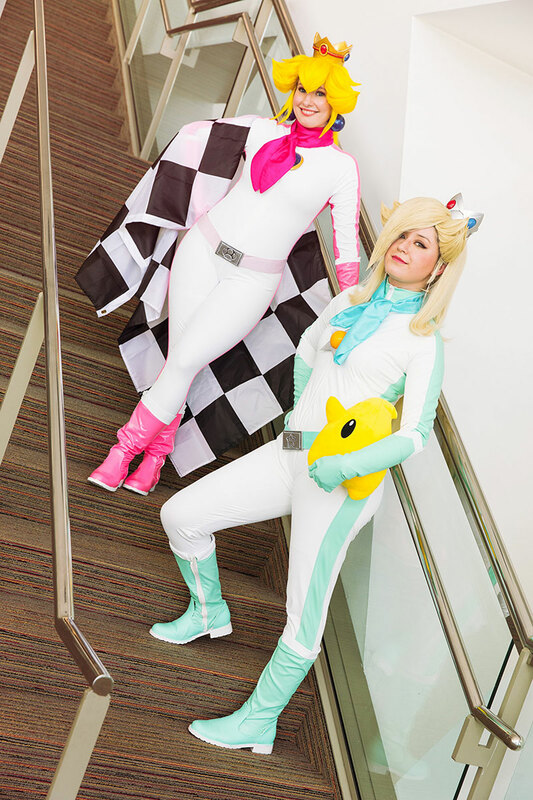 My buddy Daniella was flying in from California to attend Otakon in 2016, and she specifically asked me if we'd like to do the racing uniforms together. 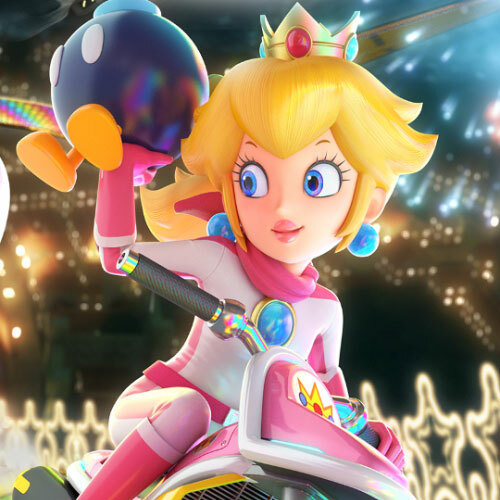 It's an outfit I'd always liked, as well as Peach in general, so I jumped on-board without a second thought. The fun irony of this is the Saturday we decided to wear it, Baltimore was record highs and we were both wearing body tight, non-breathable vinyl spandex. 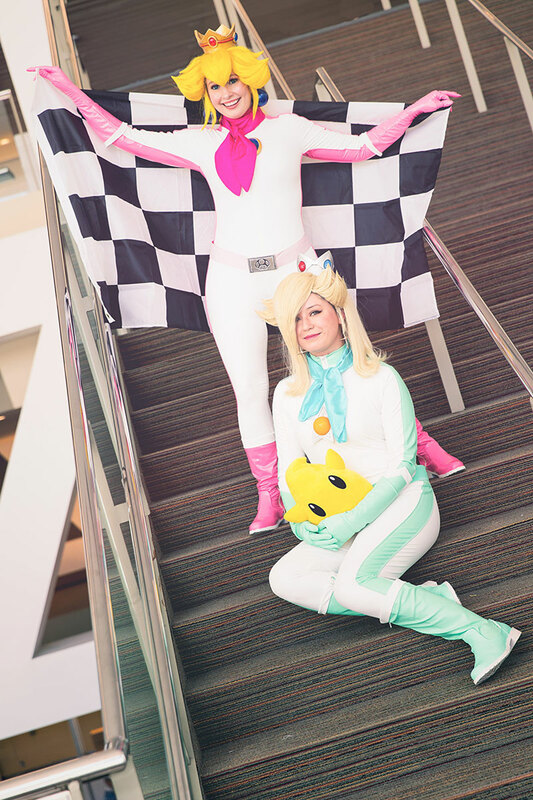 We had to make a deal that we would B-line to the con center and tell anyone wanting photos INSIDE INSIDE OR WE'LL DIE. 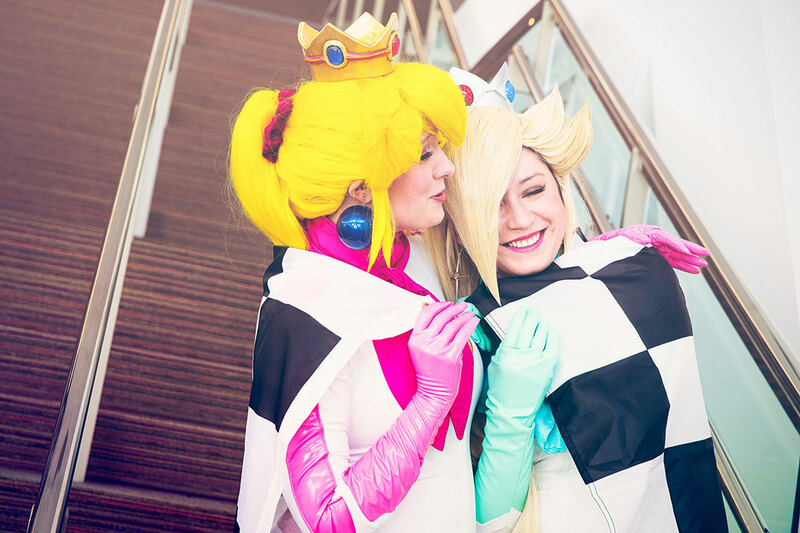 Making the costume itself was actually pretty fun, though had several of it's own hurdles. I started with a Kwik racing-suit pattern, which required so much reduction to get it body tight. The trim was actually attached on-top, rather than attempting to make extra seam lines. To help it pop I put chording inside the rolled seam as I put it down, then cut out the excess fabric beneath so I had less bunching. Though the belts in the game were plain, I decided to add some extra flare by imprinting some mushrooms / stars into them. The newest thing I'd done is using contact cement over a riding boot I had pulled apart, and then sewed in the rest of the fabric based off the original pattern.